The first book in a "seriocomic " series of Holmes adventures set during the great detective's "great hiatus." It’s 1893. King Kamehameha III of Hawaii declares Sovereignty Restoration Day ... Tension grows between China and Japan over Korea ... The Bengal Famine worsens ... A brilliant scientist in Calcutta challenges the system … The senior priest at Kyoto’s Kinkaku-ji temple is found dead in mysterious circumstances. Dr John H. Watson receives a strange letter from Yokohama. Then the quiet, distinguished Mr. Hashimoto is murdered inside a closed room on a voyage from Liverpool to Bombay. In the opium dens of Shanghai and in the back alleys of Tokyo, sinister men hatch evil plots. Professor Moriarty stalks the world, drawing up a map for worldwide dominion. Only one man can outwit the diabolical Professor Moriarty. Only one man can save the world. Has Sherlock Holmes survived the Reichenbach Falls? In a seriocomic novel that radically ups the ante, Sherlock Holmes and Watson find their match in more than one man (or indeed, woman) as a clock inexorably ticks. 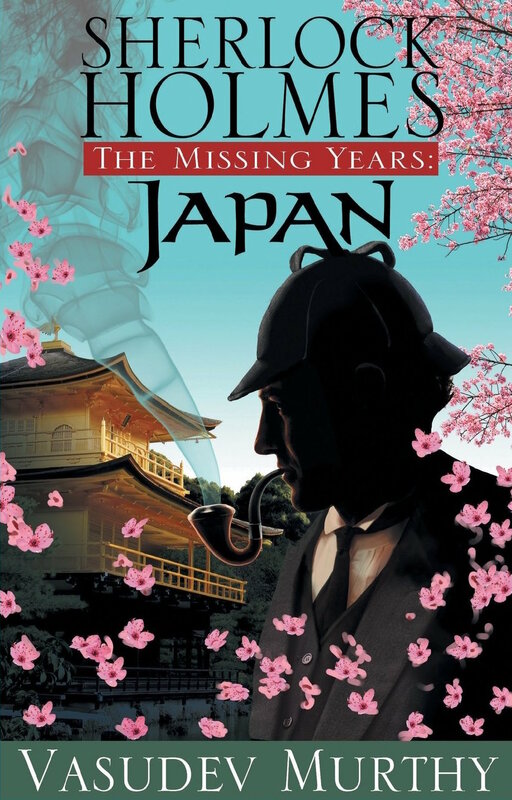 History, mystery, romance, conspiracies, knife-edge tension; a train in Russia, roadside crime in Alexandria, an upset stomach in Bombay, careening through Cambodia, nasty people in China, monks in Japan–here’s a thrilling global chase that will leave you breathless (occasionally with laughter) as the Sherlock Holmes: The Missing Years series begins.